You are here: Home / Cake / A few favourite recipes to celebrate my 2nd Anniversary! A few favourite recipes to celebrate my 2nd Anniversary! 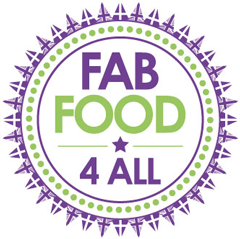 So Fab Food 4 All is 2 years old today. It’s been a real rollercoaster of a journey. I’ve gone from someone who’d never used social media, not even Facebook, to embracing a whole brace of it. 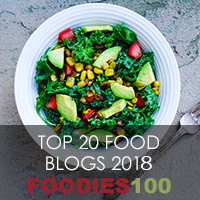 Being a food writer and blogger I’m constantly learning, whether it’s in the kitchen or something on the computer. Well having just replaced my old Netbook for a Notebook with Windows 8.1 the learning curve had a massive spike to it last week and I’m still not happy with the way it works. It’s like having had your house ransacked and then trying to find everything, only to find some items have actually been thieved or defaced. I’m happy to say that after 2 years of hard work, lots of good things have happened like writing for Great British Chefs, recipe developing for brands and recently I had my first picture accepted by Food Gawker for my Chocolate Chip Marmalade Cakes (I was shocked)!. There are many more fabulous things in the pipeline so I’m really excited right now. Anyway I thought it would be nice to have a trip down memory lane with a few of my personal favourite dishes as I’ve already published a list of your favourite posts in my New Year post. 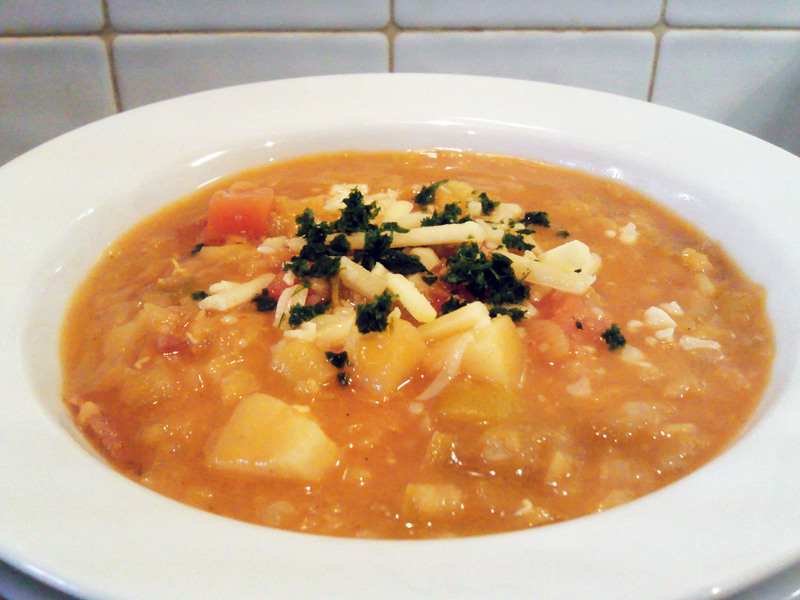 I’ll start with my very first post which was for Glenda’s Winter Lentil Soup – how care free this post was, I’d overcooked the soup as I was out on the school run on my bike while it was cooking. All my early shots were just hastily taken on the cooker, I didn’t follow any blogs before I started mine so I was just doing my own thing and learning as I went along! This soup is still an absolute favourite with everyone here and is always served as a main meal. I’m proud of all my jam recipes but Easy Blackberry & Apple Jam was a particular favourite as not only was it delicious and made with foraged fruit but I simplified the process. All the recipes I could find cooked the fruits separately and after an afternoon of fruit picking I just wanted to make something fuss free. Apple works so well in jam and has become a favourite addition! Oh and this post also secured my first feature on preserves in a regional newspaper Extra Local! 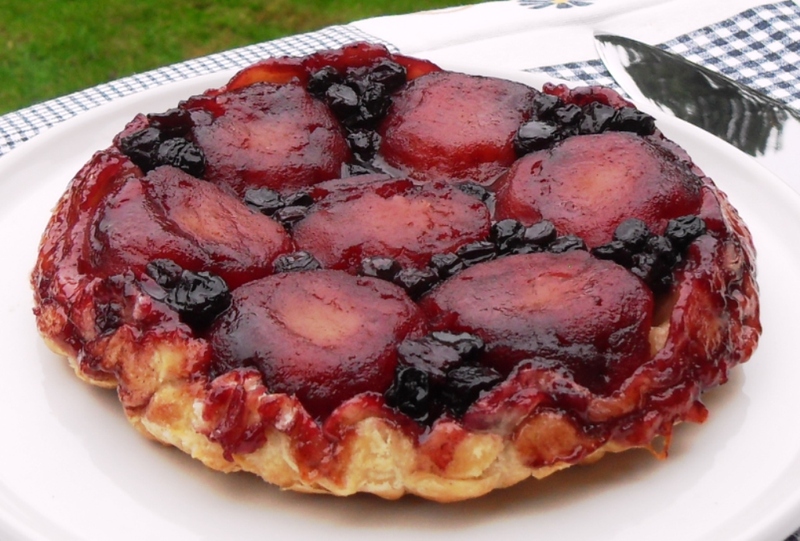 Apple & Blueberry Tarte Tatin was another favourite post as it’s so simple to make and yet looks so impressive! 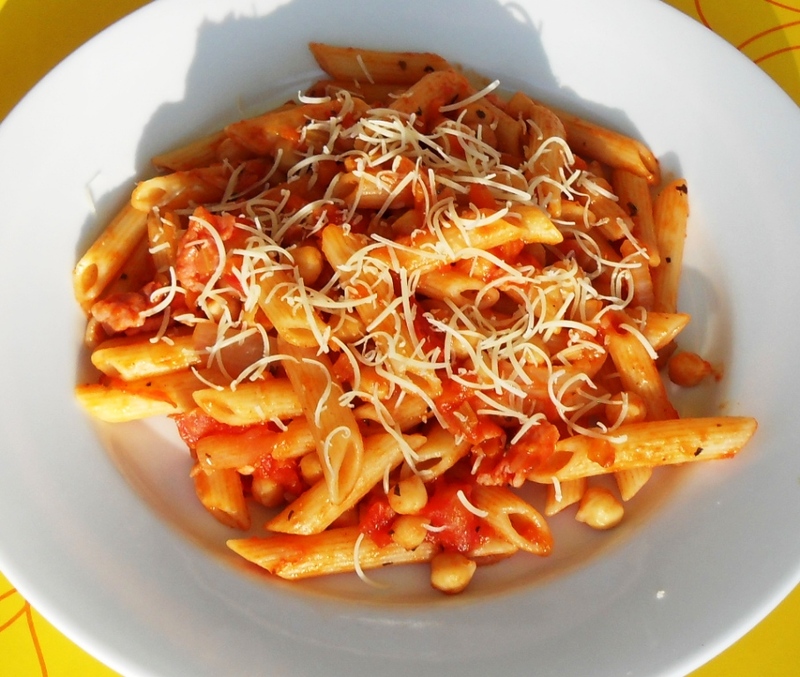 Chilli, Bacon & Chickpea Pasta is a dish that I make when I haven’t planned anything as it uses store cupboard ingredients and I usually have a packet of bacon in the fridge. Even without the chickpeas it’s still great! My last pick is my Rhubarb and Ginger Cake which when I posted it last summer had rave reviews and many people baked it and showed me the results on Twitter. The post also covered a funny encounter with Harry Hill! It just remains for me to say thank you to each and every one of you who reads my blog and for all the lovely comments and words of encouragement you give me. I’d also like to thank all my fellow bloggers for their fellowship and encouragement and in particular Helen of Fuss Free Flavours who has been my rock and mentor from the moment I joined Twitter. Helen really should write a book on how to blog as here knowledge is phenomenal! Looking forward to everything my third year of blogging will bring. 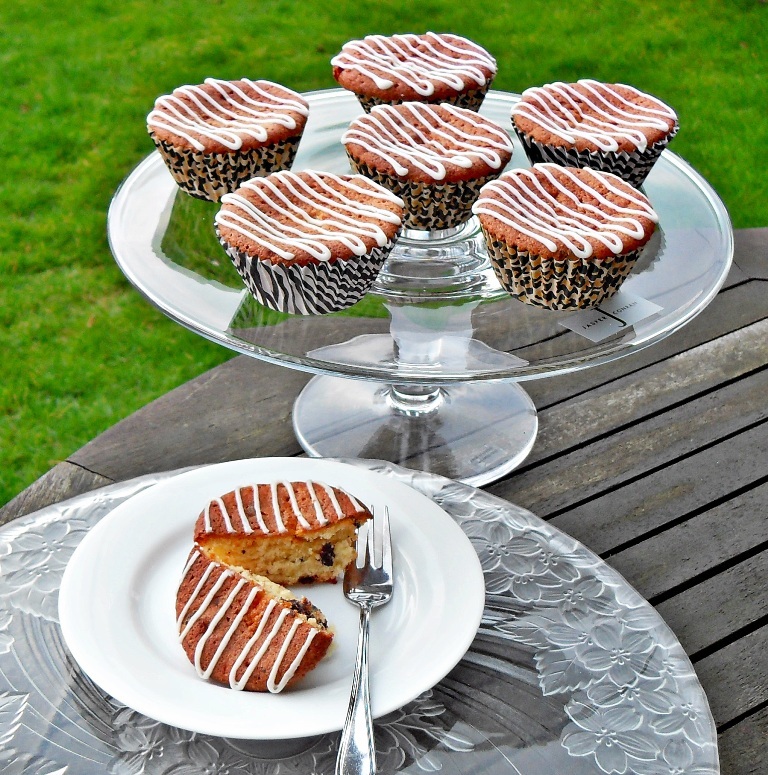 Oh that Rhubarb and ginger cake looks so delicious! And thank you for your kind words. I have just a little tear in the corner of my eye. Aah, a happy tear I’m sure:-) You are my blog mother! Well done Camilla, you’ve achieved loads in your two years of blogging, puts my five quite to shame. the learning curve just goes on and on – sigh! Happy Blogiversary. Thank you and don’t be silly Choclette! Yes the learning curve can be quite daunting sometimes, I blag my way through most of it LOL!